Thinking of getting a new business printer? The HP LaserJet Pro MFP M476nw pictured here is an outstanding unit. But always check the Duty Cycle when selecting a printer… then divide it by 20! The monthly duty cycle is really the maximum number of pages you should ever attempt to put thru the printer in a month without it failing. But you shouldn’t expect to be able to stress your printer that high month in and month out. The actual reasonable monthly usage is typically many times less. 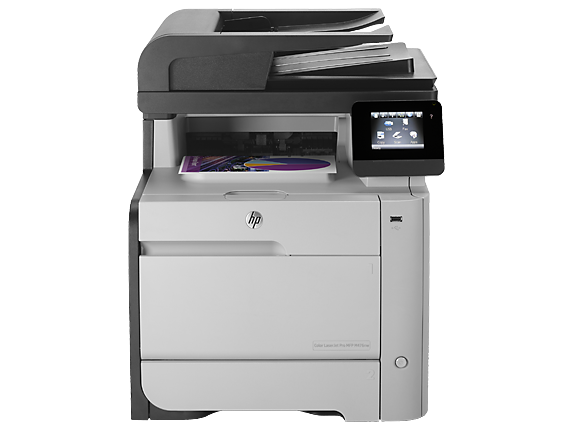 For example, HP advertises the monthly duty cycle for the MFP M476nw at 40,000 pages. And in the very next line the recommended monthly page volume is stated at 1000 to 2500 pages. That’s 16 to 40 times less! Vendors often don’t publish the recommended monthly page volume so as a rule of thumb, we recommend you divide monthly duty cycle by 20 go get in the ballpark. Then make sure you select a printer that’s built for the average monthly load you’ll be putting it under. If you do, all else being equal, you’ll find your total cost of ownership is less and your productivity will be higher. Shellshock – Should I Worry?